Please see below for the proper equipment for your player’s level of play. No player will be permitted to participate without the proper equipment including a mouth-piece. 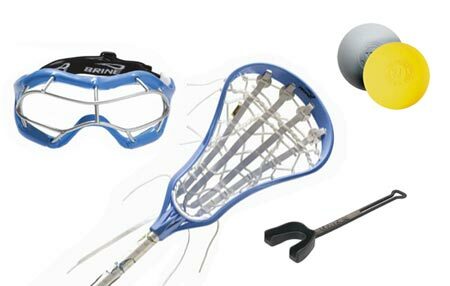 US Lacrosse has provided an equipment fitting guide to help best fit your players with equipment. 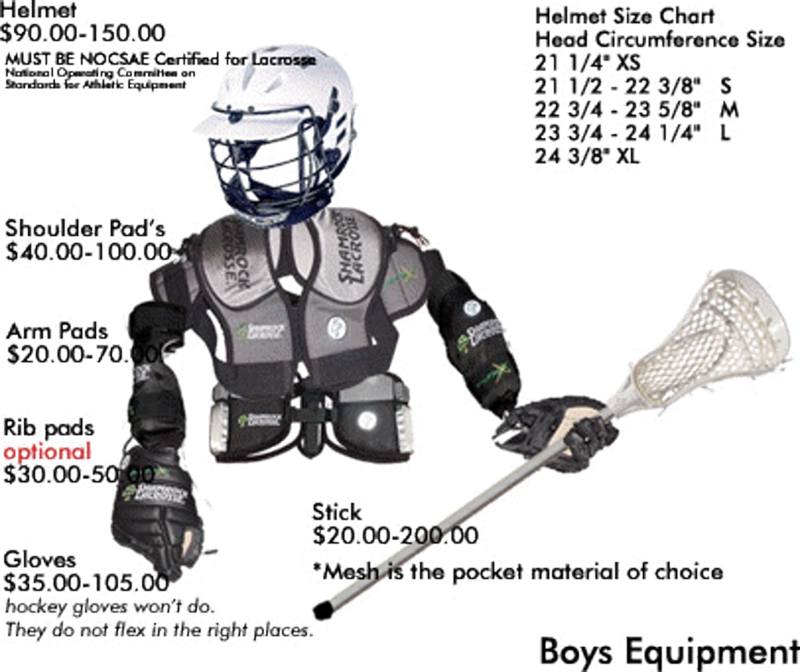 All equipment is the responsibility of the player, with the exception of the goalie which will be supplied by Middletown Youth Lacrosse. Lightning Level (Kindergarten- 2nd grade): The required equipment will be mouth guard and stick. This is an instructional clinic teaching your players the basics of lacrosse. Your player’s stick can be cut to the length of their arm. Cleats are not required for your player to participate in the Lightning Clinic. Please email with questions. You do not need to get special lacrosse cleats for lacrosse: you can use soccer, baseball and football cleats for lacrosse. If you know your player will be playing soccer, and you think one pair of cleats will work; then get soccer cleats. You will not be able to use lacrosse cleats for soccer. Uniforms: Middletown Youth Lacrosse will provide for the player to keep reversible practice pinnies for Bantam through Senior. Game Jersey's are the property of MYL and will be collected at the end of each season. Players may purchase matching shorts at the beginning of the season - this is not required. Our game jerseys are columbia/light blue if you would like to purchase your own shorts, please purchase light blue or columbia blue. Please note: A girl's sticks does not have a pocket. When you purchase your daughter’s stick, please ensure it is a girl’s lacrosse stick. Long stick (Junior & Senior only): 52-72"
Goalies: Goalie equipment is supplied by Middletown Youth Lacrosse and is the property of MYL.